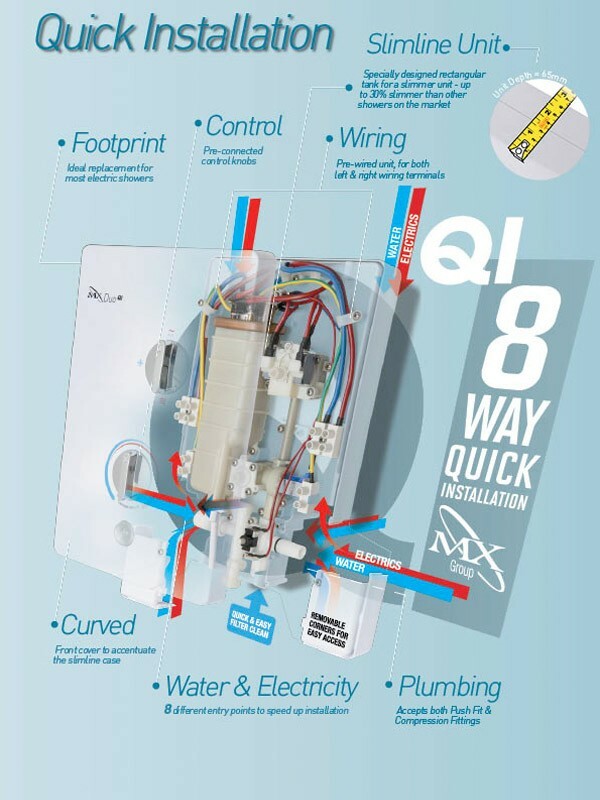 The Mx Inspiration QI range will replace the old Mx LXI and LX units previously sold in the Mx electric shower range. The MX GCK Inspiration Quick Installation boasts a minimalistic sleek design, combining great looks with power at your fingertips and with its push button features you can choose the intensity of your showering experience. Features include low pressure warning indicator and phased shutdown. The MX Inspiration QI is available in 8.5kW, 9.5kW and 10.5kW. Fully adjustable lower bracket. Ideal for new or replacement installations.